Ref. 1545 - Only a few kilometres from the centre of the pretty spa town of Salies-de-Béarn and its shops, this carefully restored and maintained house is quietly located in a rural area. On the ground floor, living accommodation includes a kitchen, dining room, large living room and bar, bathroom and a large pantry. Two sets of stairs provide access to the first floor serving five bedrooms, one with lounge and a bathroom. Within the grounds is a large garage with space for three cars. The easily maintained garden allows you to enjoy the tranquility of the countryside. The beaches of the coast are less than an hour's drive away and the Pyrenees ski slopes are an hour and a half away. For further information, please consult our fees table under "Buying"
In conjunction with the law on the protection of personal data, we assure you that the information gathered will not be sold or used, apart from to deal with the specific enquiry you have made. 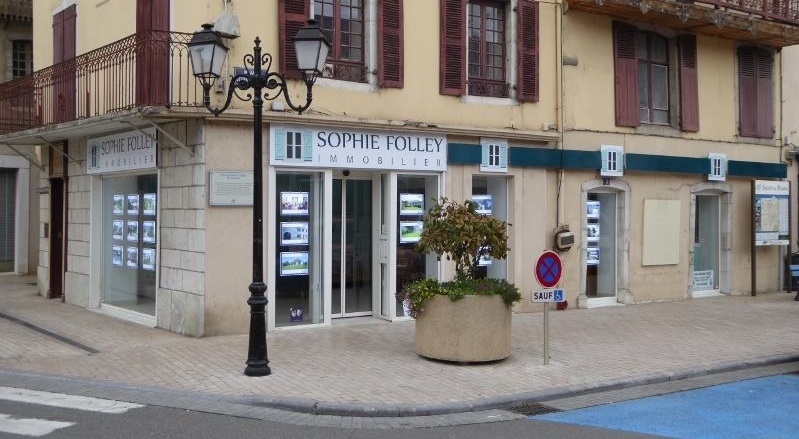 If you wish to no longer appear in our client list, do not hesitate to send an email to contact@sophiefolley.com.